Our Farm Manager, resident Viticulturist and son, all pressed into one! Celestial Bay Winery is very much a family affair with son Aaron taking over the helm as manager of the vineyard, overseeing all the viticultural activity at the winery over the past two years. 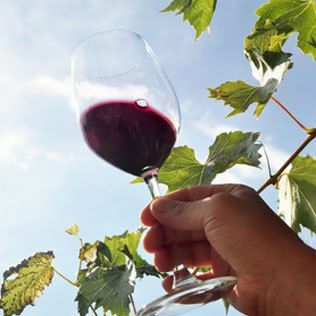 After travelling the world far and wide Aaron finally settled down on the vineyard and completed his Bachelor of Science degree (Viticulture and Oenology) at Curtin University. Aaron gained many years of experience during vintage, working for various wineries large and small, bringing back a wealth of knowledge and understanding of the industry to Celestial Bay. 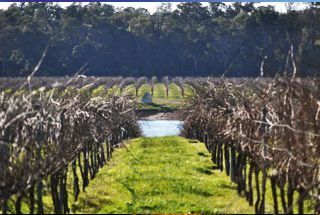 Aaron hopes to continue to uphold Celestial Bays reputation for producing quality wine in Margaret River. In his own words, Bernard was " born a bogan” (three weeks late and has been ever since! ), grown for accounting but pressed into oenology and subsequently marrying a “French princess". Born and bred in the Clare Valley, Bernard was not headed in any particular direction when a chance meeting with then chief winemaker at Stanley led him into the wine industry. They were both playing football for Mintaro based club, Maroona United and Chris suggested there was work at the winery as a cellar hand. Like many before him, Bernard's first taste of the wine industry had him licking his wine stained lips for more. 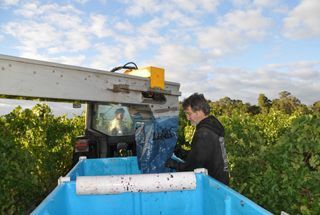 In pursuit of eventually helping to produce quality wine, Bernard enrolled in the Diploma of Oenology at Roseworthy, graduating in 1986 and immediately thereafter, moving west to Margaret River, where he currently resides. 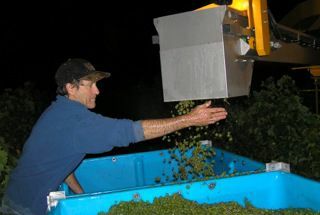 Bernard joined the team at Celestial Bay Winery in late 2003, helping to prepare the 2003 reds for bottling and to begin production planning for his first full vintage in 2004. 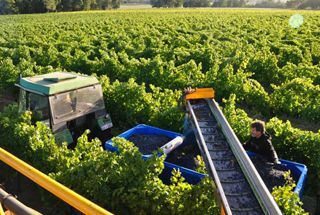 While most of his experience has been in the Margaret River region, he has spent time working in France. 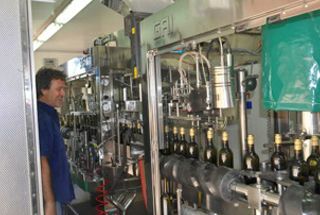 Bernard believes that combining modern winemaking with traditional techniques (hands on, small batches and constant attention to detail) produces the best wine. His range of experience combined with first-hand knowledge of grape growing in Margaret River ensures that our philosophy – “a passion for perfection”- is captured in each bottle. Bernard rates a 1985 Chateau Petrus as the most amazing wine he has tasted and a bottle of Sancerre with fresh oysters shared on the banks of the Loire River with the French Princess ranks as the most enjoyable wine and food experience. Our Thursday favourite in charge of Administration and Finance, Barbara! Born in Burma, Barb has lived in London and came to Perth 20 years ago. Barb started with Celestial Bay at its very early stages where her typical day would be anything from pricing and purchasing rootling’s, guinea fowls and sheep, to understanding WET and export procedures. Barb is most proud of being a part of developing the goose chase branding concept and witnessing how Celestial Bay has grown in a short space of time. She enjoys being a part of a dynamic label and balanced and focused team and admits her biggest challenge has been gaining knowledge in the wine industry. Her medium term goal is to sabotage our beloved Bernard’s reputation and to persuade him to introduce a sweet variety to add to our range. Her long term goal is to continue to help Celestial Bay Wines Flourish for years to come! After introducing Kim, who was at the time, Michael's English girlfriend from the city, to the dust, flies and silly sheep on his family farm, Kim confirmed that a condition of their wedding vows (on her part) would be, “2 children – NO farm". Nothing turned out quite that way. Michael’s love of the land came at an early age in Chittering where his family’s farm is situated. His ambition to follow the farming life was put on hold when, despite being enrolled to study Agricultural at Muresk College in Northam, a series of events led him to his father's fashion business in Perth, a change of direction which would last 20 years. 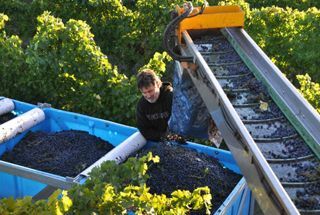 After deciding to follow his dream and establish a quality winery in Margaret River, and also many years of blood, sweat and tears (from Kim), the venture has proved to be much more than a little winery down south. 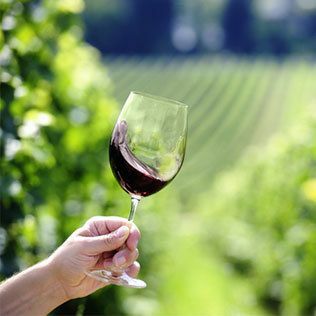 It is now a business that is exporting to 5 countries, selling wine across Australia and regularly receives accolades and awards within Australia and internationally. As a family, they are very proud of their achievement. After 34 years of marriage it may be time for Kim to reassess her marriage contract. 2 children – No more farms!!! 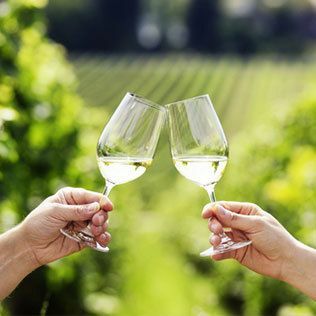 - Just fantastic wine and a wonderful life-style, and two grandchildren to date which they are more than delighted about, extra pair of hands on the farm never go astray right?